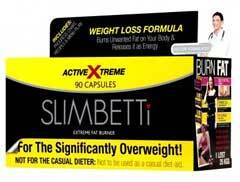 Slimbetti Active Xtreme is a weight loss supplement that purports to burn fat for serious weight loss. The capsules claim to harness the power of African mango and Green Tea. Both of these ingredients have enjoyed great popularity in the dieting world, so potential consumers might feel good seeing them here. Additionally, the product warns that it is for the significantly overweight, not the casual dieter. This assertion of strength might also appeal to someone looking to lose weight, even if they are not obese. Unfortunately, consumers should carefully examine all the information provided, or not provided as the case may be, and judge for themselves whether this product is worth a try or not. Slimbetti Active Xtreme lists African Mango Seed and Green Tea as its main ingredients. It does not bother to specify how much of each or the concentrat ion of each included in each capsule. It doesn’t even provide dosing instructions. The website makes some half-hearted references to scientific studies supporting the efficacy of these two products for fat reduction or weight loss. It does not list or provide links to those studies, which should be a red-flag for consumers. Additionally, and more concerning, is the possibility that there are other, unlisted ingredients. This concern is compounded by the website’s assertion that this product is “safe for High BP, Diabetes, Thyroid conditions and Depression”. Dieters with these pre-existing conditions have long been warned to consult with a healthcare provider prior to starting any supplement. This is because some weight loss ingredients, even 100% natural ones, can interfere with their conditions or the drugs used to treat them. To claim that this product is safe for these populations is serious, yet there is no further explanation given. How or why is it safe? Consumers are just expected to take them at their word. Another red-flag. Apart from the claims made on their own website, the overwhelming amount of media focus for Slimbetti has been negative. Apparently the husband and wife team behind these products – Chris Grindlay and wife – Jasmine Grindlay – have been sanctioned in the past by the Advertising Standards Authority (ASA) in the UK. The problems arose from unsubstantiated claims that their weight loss products work. As the ASA imposes sanctions on one product, they seem to change the just slap on a new name and keep the same claims. Another sanction brings another name change in a perverted game of cat and mouse between these supplement makers and the ASA. As usual in these cases, duped consumers are the clear losers here. This product contains ingredients, which has been shown to cause constipation and stomach upset in some people. In large amounts, it produces some of the same effects as caffeine. Significantly interacts with a host of medications from Ephedrine (commonly contained in weight loss formulas) to Warfarin. It also interacts with Diabetes medications, which is extremely worrying because the product claims to be safe for diabetics. Which diabetics? Apparently those who are not treating their condition. African Mango Seed has been shown to safe although some user have had minor side effects including headaches, flatulence and sleeplessness. Short answer: No! Slimbetti Active Xtreme appears to be just another scam. 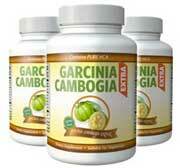 The product claims to be an ultimate fat burner for serious weight loss. It goes as far as to call itself “weight loss in a box”, not far off from the red flag phrase “miracle in a bottle”. However, at the end of the website, there is a prominent blurb that acknowledges the need for a calorie restricted diet and exercise in order to achieve weight loss. They are sending mixed messages. In one advertising testimonial on the site, a user claims that she just took the product and ate sensibly to see results. Did she exercise or not? It is unclear. Also unclear are the other ingredients, the amount of each ingredient and the dosing instructions. What is clear is that the product wants you to enrol in an auto pay program. These programs are notoriously hard to cancel and hundreds of consumers have lost thousands of dollars trying to do so. To call this program questionable is an understatement. Suspect diet supplements depend on these tricky programs for revenue, instead of the effectiveness of the product. Consumers should run, not walk, away from Slimbetti Active Extreme. There are several natural products that we would recommend over and above including Garcinia Cambogia, Raspberry Ketone and Green Coffee. Our preference would be for Garcinia Cambogia and in particular Garcinia Extra – it contains Garcinia Cambogia and Raspberry Ketone in the same formula.